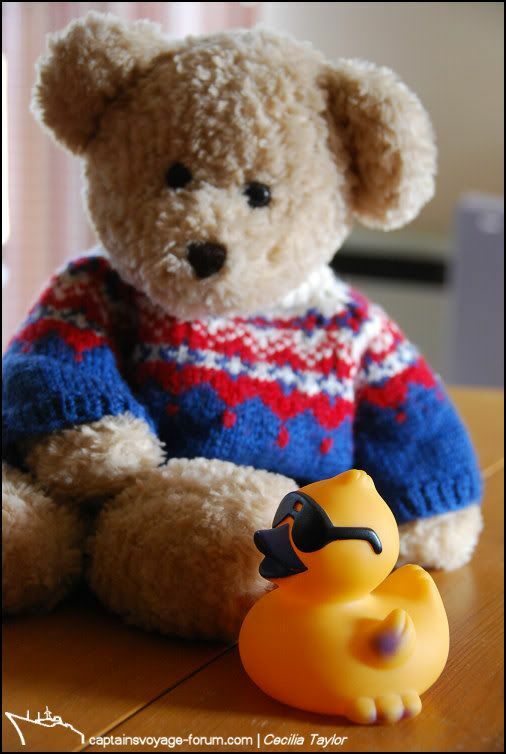 But eventually (having corresponded with him in another thread some time ago) I got to meet up with my friend Berns the duck. Cool! Berns showed me these old millstones that have been made into a decoration. 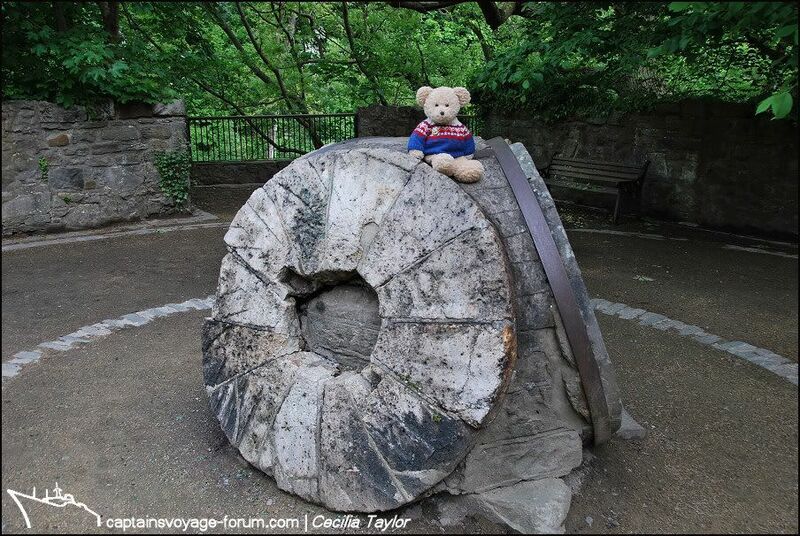 I had read about millstones somewhere in CaptainsVoyage – I think it was Sterkoder who had written about such things. So it was exciting to see some for myself. I wonder if I could make a big coffee-grinder out of them? So next we went along the river to see one of the weirs. There used to be mills with water wheels here. Berns said Aunt C doesn’t like him to go swimming in the river because he could easily get swept away in the water or stuck in an inaccessible place. The water is very low just now as there has been hardly any rain. Apparently there is another stream in Edinburgh which is safer for Berns. There is even an annual duck race there. 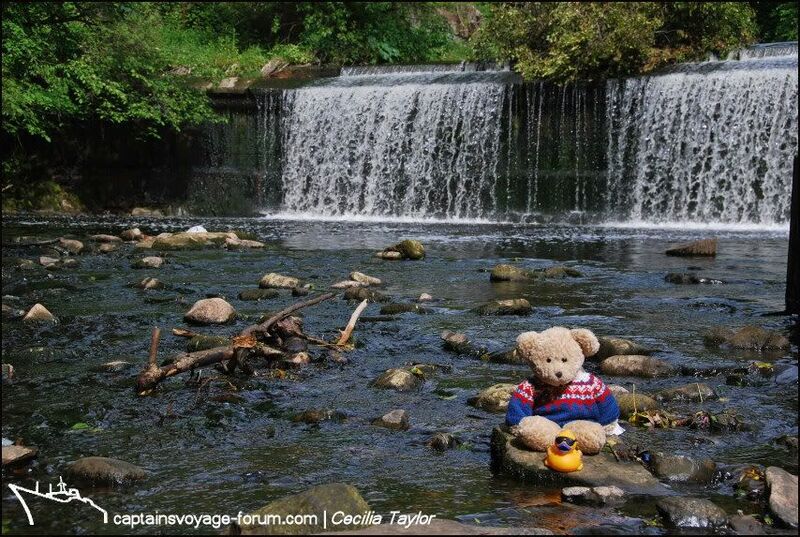 We are going to go swimming in this stream when I return after my American vacation. Pippi Longstocking also lives here. 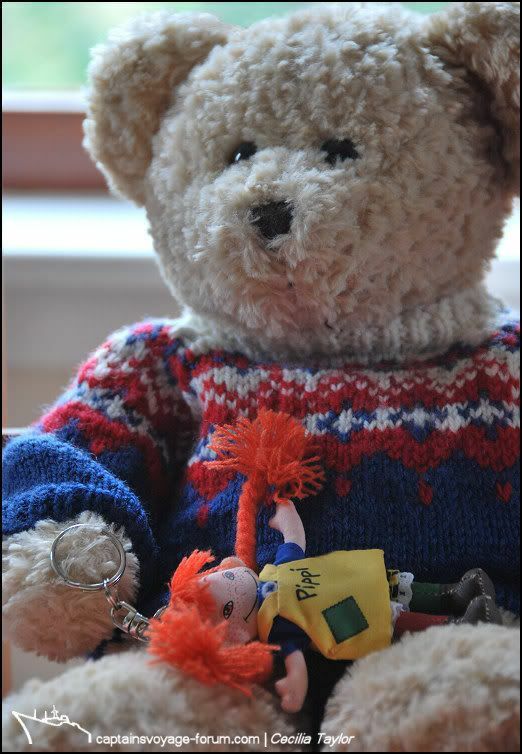 She comes from Vimmerby in Sweden so her accent can be difficult for a Thai/Norwegian bear to understand. She likes to think she is in charge here when Aunt C isn’t around. Berns (who is from Stockholm) avoids being bossed around by Pippi by hiding in the bathroom. Tired after all this excitement. Lookchin had seemed pleased to see a photo of pakarang on CaptainsVoyage, but I think it made him just a tiny bit homesick, especially as he was overtired after staying up so late partying with Berns after exploring the Dean Village. Pippi tucked him up in bed and was very kind and comforting. 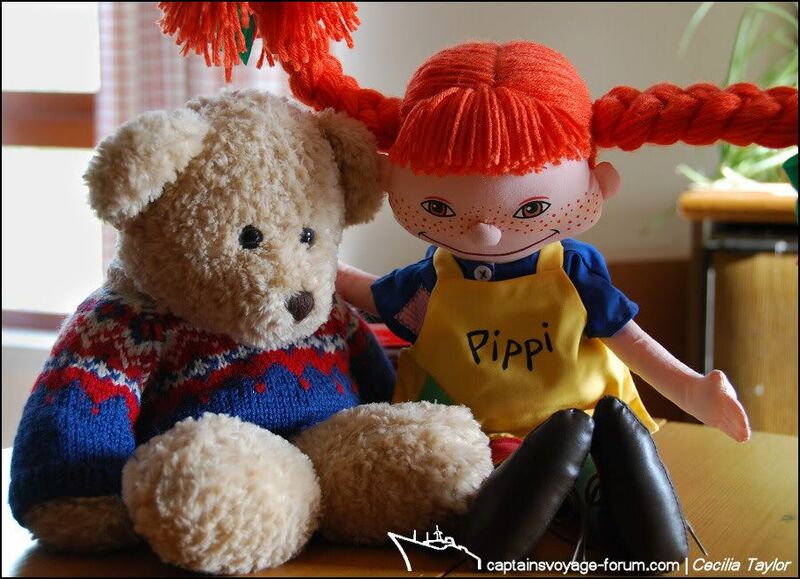 But next day Lookchin felt a bit embarrassed about being such a softie, and blushed every time Pippi looked at him. 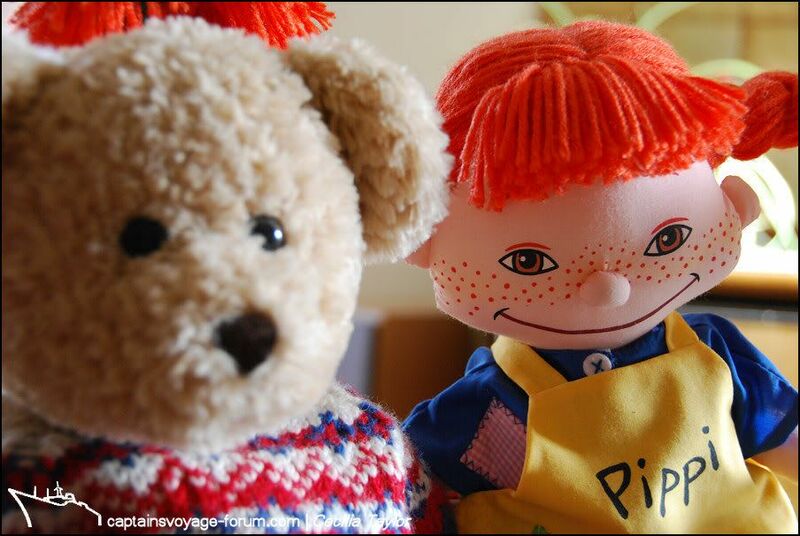 “Oh don’t bother about Pippi” said Berns. “She likes to think she is the important person here but I know how to cut her down to size”. My English is now quite good, and so I naturally thought that Berns advice about cutting Pippi down to size was just a figure of speech. So what a surprise to find she had actually become small and totally controllable on the end of a little chain, rather like a key-ring!!!!!!! This is a technique I might be able to make use of when I return to Trondheim. 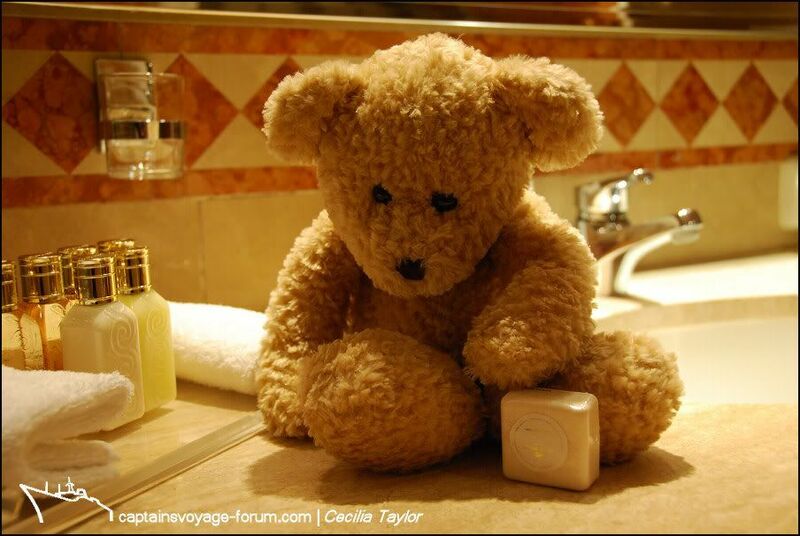 I have seen Pakarang’s new avatar on CaptainsVoyage, clearly key-ring sized. I will be able to keep him under control and get my own way whenever I want in future! 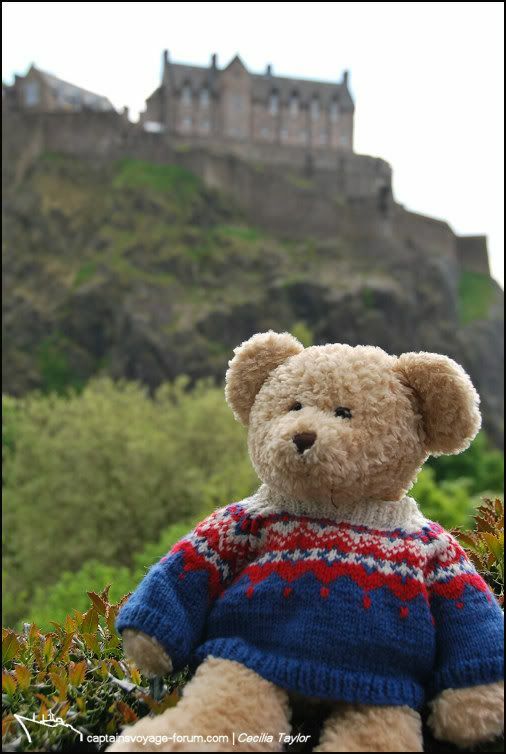 Lookchin liked Edinburgh Castle a lot when he first saw it. So I had been wondering why Lookchin seemed so upset when I took him into town again. 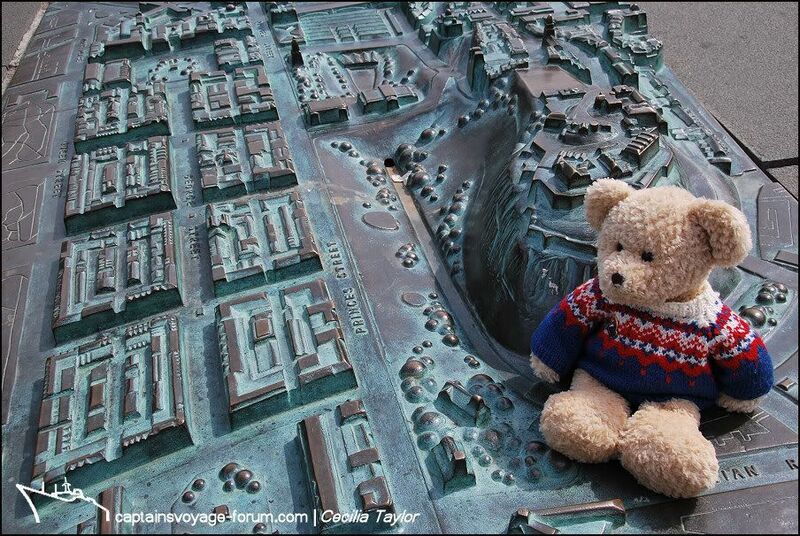 Now after reading his diary I realise he had got quite a shock and thought he had somehow managed to shrink Edinburgh Castle, and indeed the whole city, to key-ring size by mistake! He was very relieved to hear that this was a just a sculpture showing the castle and city centre, also intended to be a nice experience for blind people to feel their way around the city. I always start showing visitors this sculpture as it explains the geology, as well as the history of the development of the Old and New Town areas. 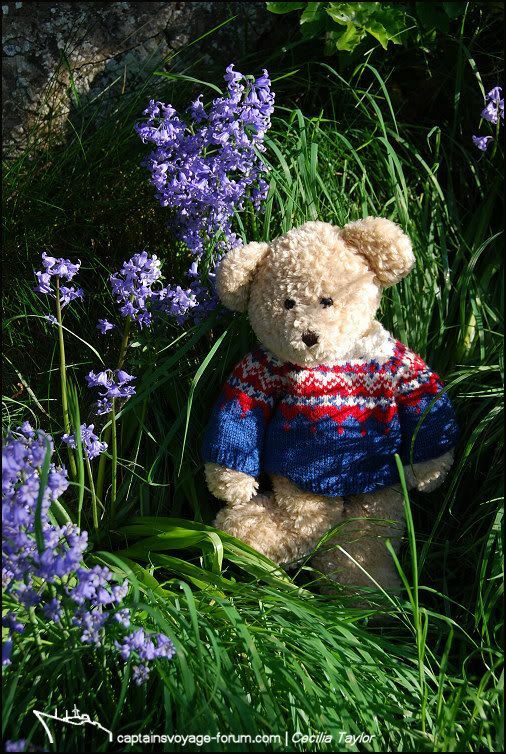 Bears usually go down to the woods for picnics, but Lookchin wanted to look for bluebells! 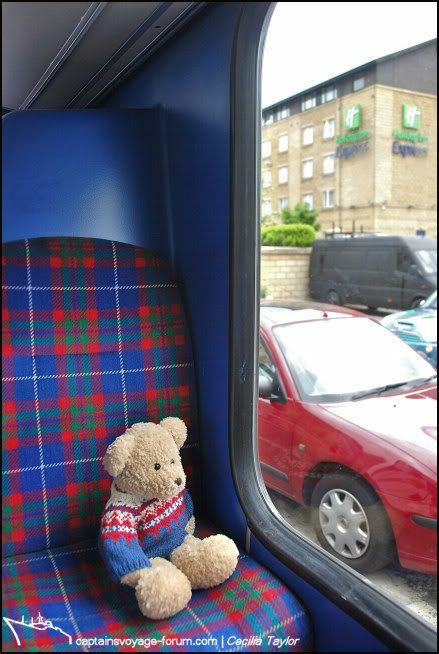 Travelling on an Edinburgh bus. Lookchin was of the opinion that he was well camouflaged in his jumper! 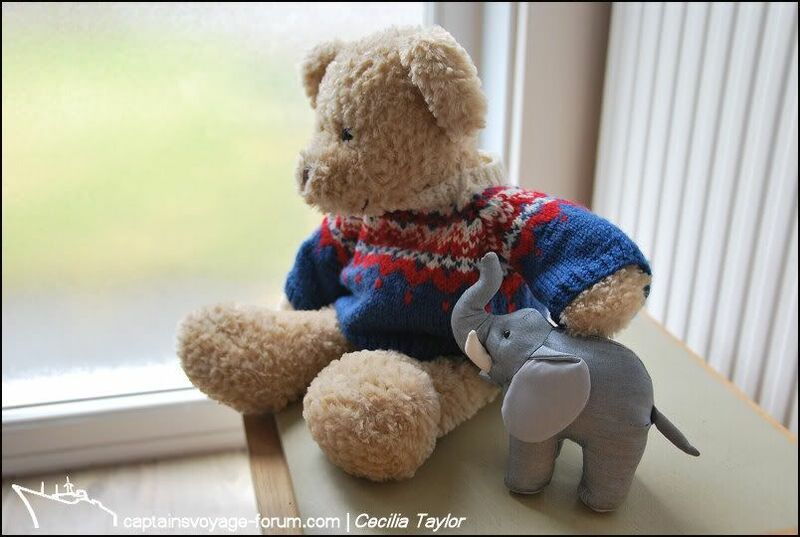 Lookchin loves to talk in Thai with the silk elephant I bought for Sea-Troll when we were in Thailand. 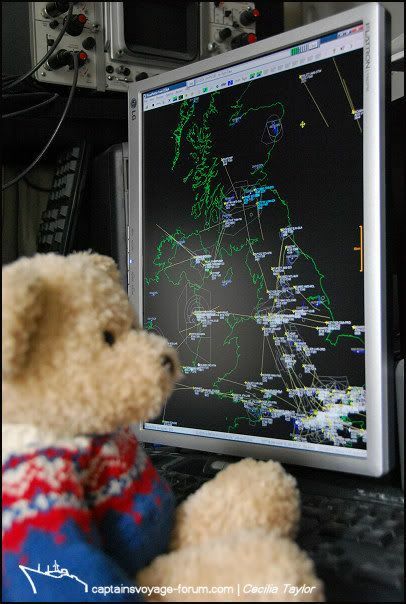 As the time for our departure for Rome drew near, Lookchin checked up on the weather and volcanic ash predictions, and then played with the air traffic data to look for our plane. 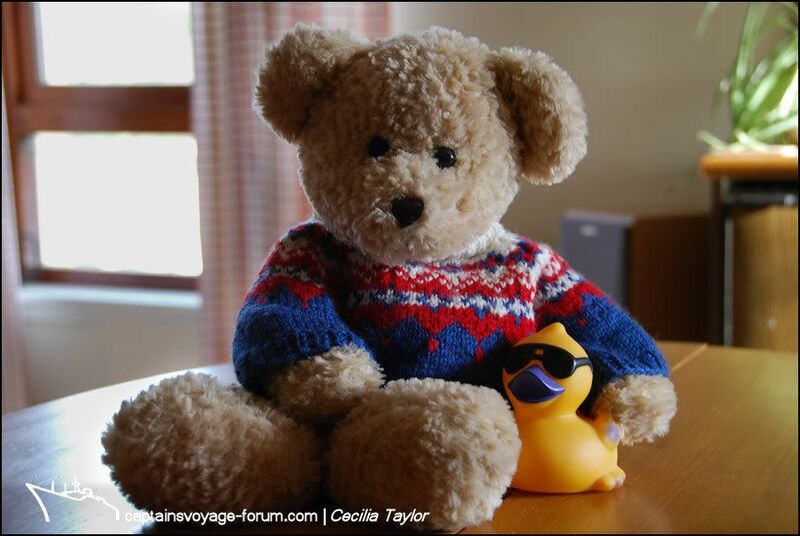 We took the KLM route via Amsterdam rather than the direct Ryanair flight. For the previous few days, Lookchin had been controlling me (even without my becoming a key-ring!) which is actually rather nice, but everything changed when we reached Edinburgh airport where Lookchin had a major tantrum. 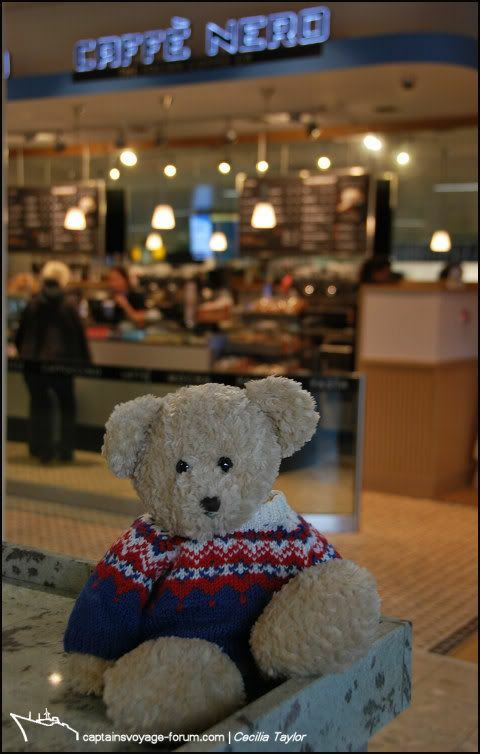 It was all because I wanted a coffee, and the coffee places at the airport are not Lookchin’s preferred brand! He refused a coffee, and proceeded to sulk. 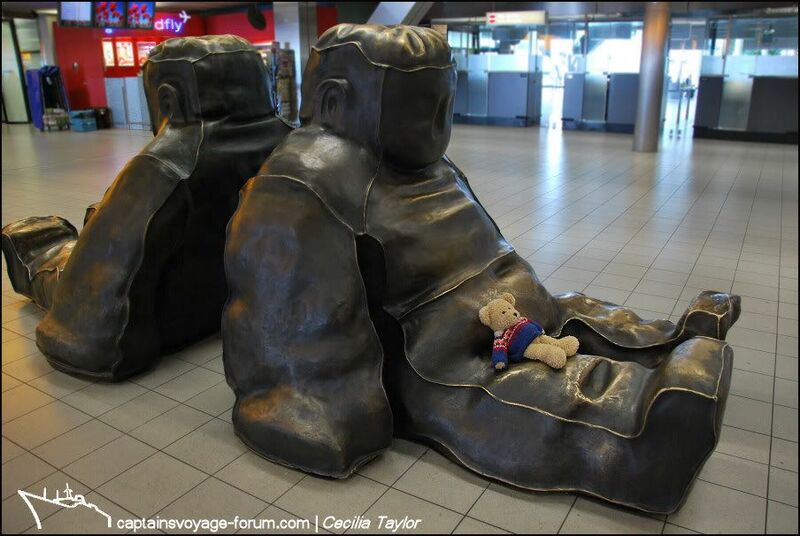 He was still sulking when we arrived in Amsterdam. 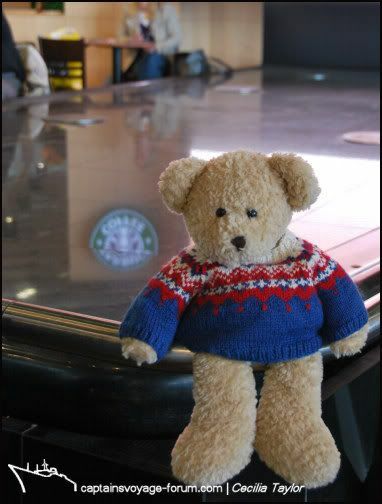 But then after passing passport control into the lounge area, there was a wonderful sight. 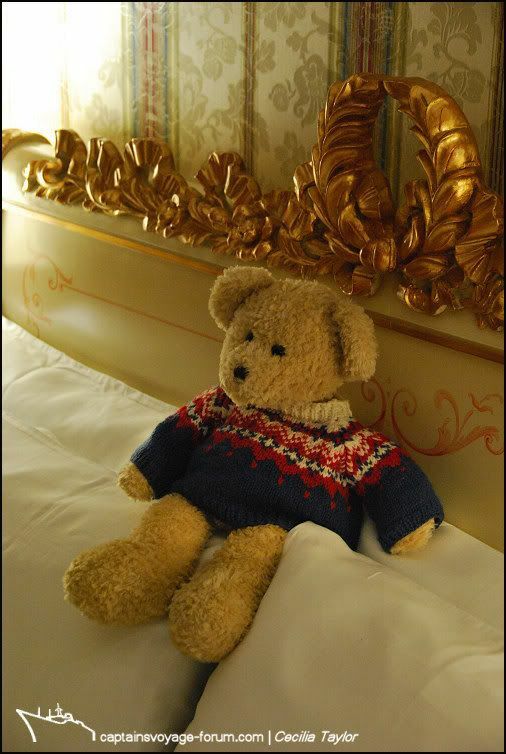 And so Lookchin became a delightful travel companion for the rest of the journey to Rome, and our arrival in the Hotel Parco dei Principi. 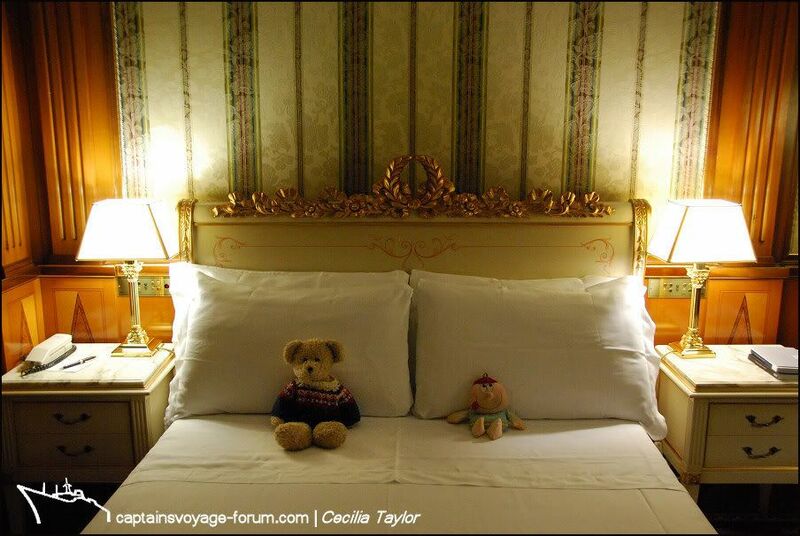 Where are you going to sleep Aunt C? Ummm, this is really comfortable, but perhaps I’ll go explore the bathroom next before I go to bed. 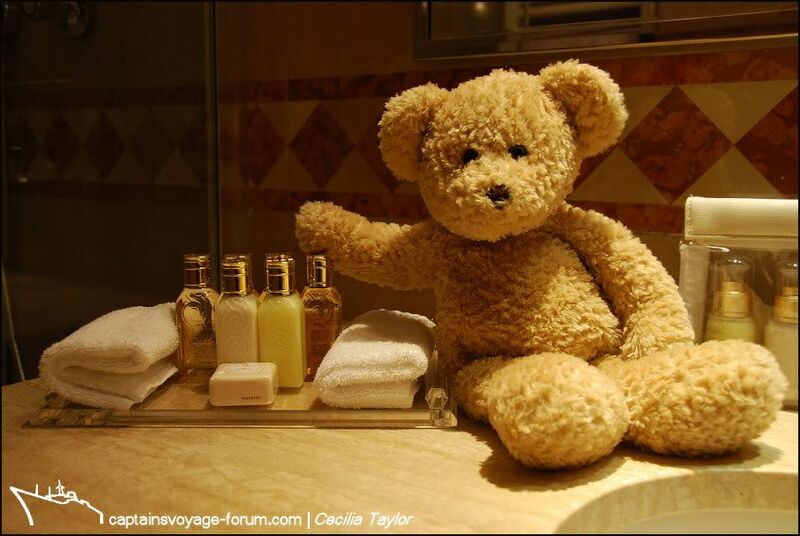 Time for a shower, or perhaps a nice soak in the bath. I wonder if I should use this soap? 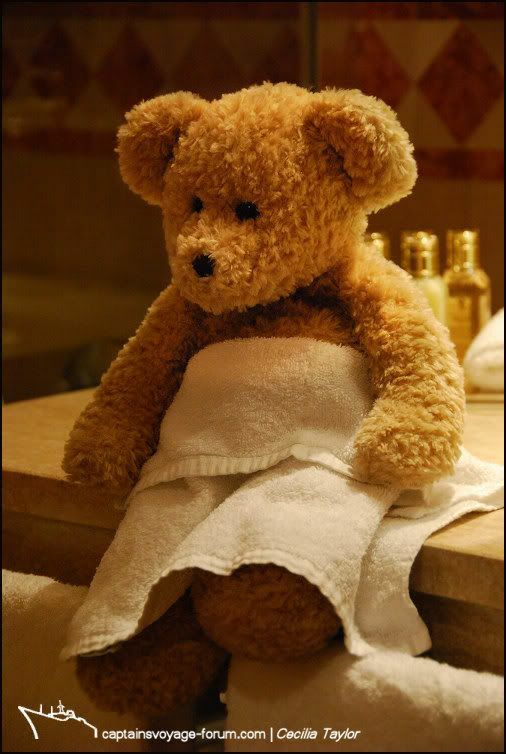 Actually in a hotel such as this there are all sorts of other nice wash and spa things to choose from. 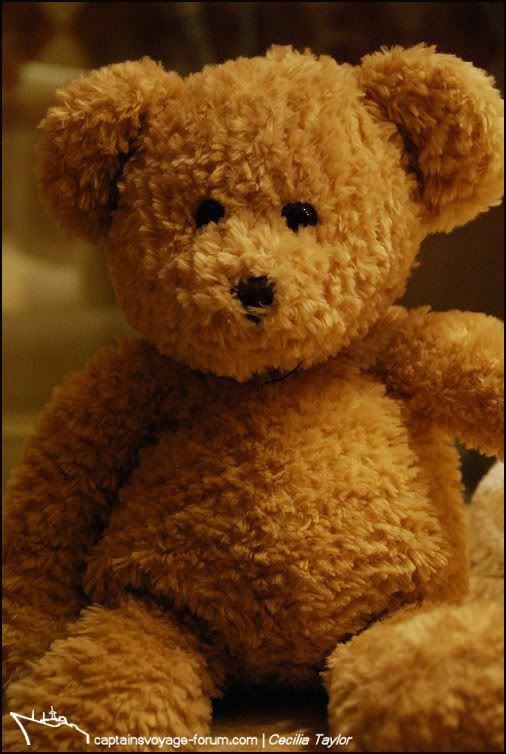 There is bound to be one specially suitable for a bear. Ah, this “Fabulous Fur” lotion will be perfect for me. Now everyone will want to cuddle me! 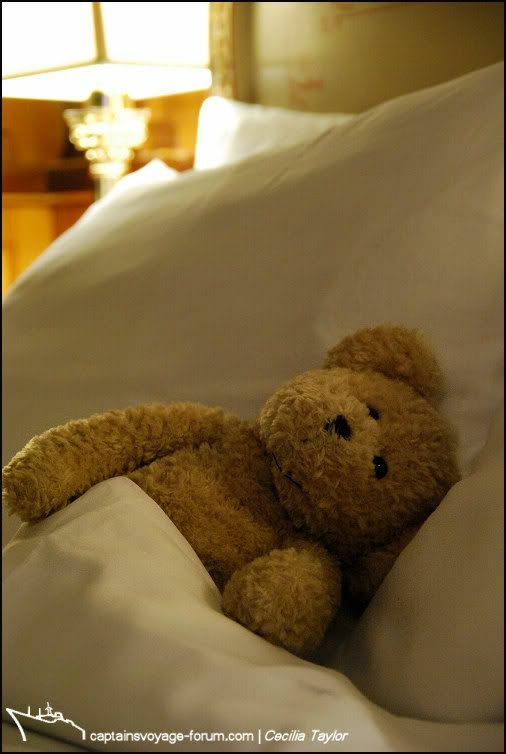 I dreamed about being cuddled. At least I think it was a dream . . . I wonder where Aunt C was sleeping?